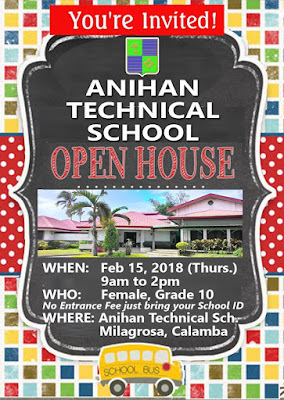 We are inviting all female grade 10 students and TLE Teachers for a one day OPEN HOUSE of Anihan Technical School - FPTI. Approved and endorsed by DepEd Calamba! 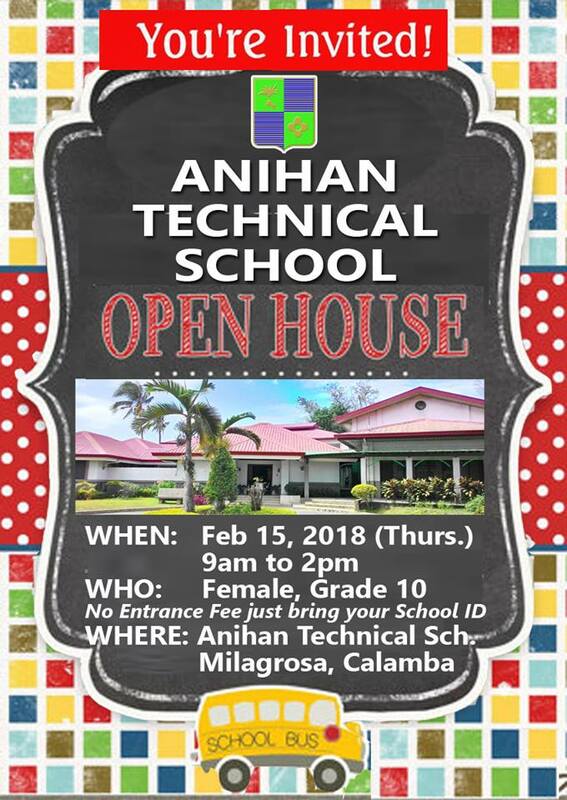 😀 Come and join us on our 2nd Open House! There will be Cooking, Baking, FBS(Food and Beverage Services) demo and Parlor Games! Prizes and freebies will be given away! Share and spread the word! Thank y'all!